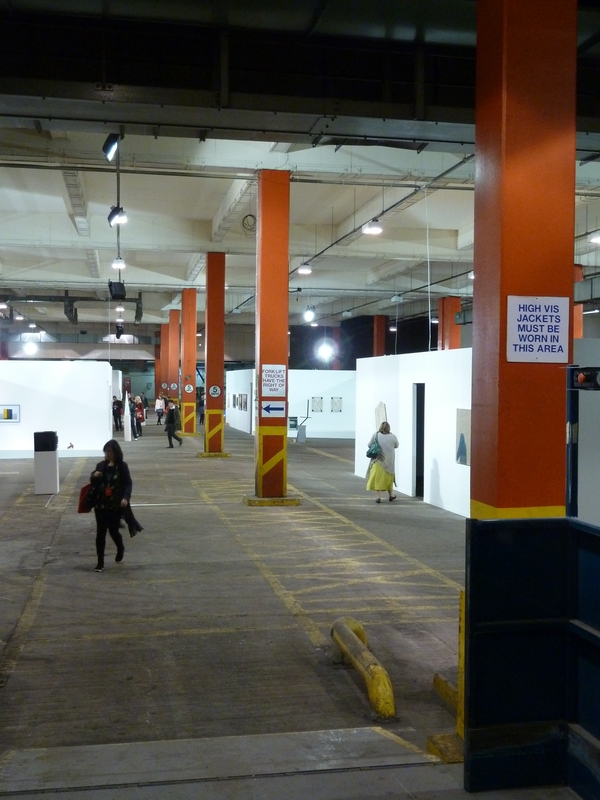 In 2012 the Liverpool Biennial continued its tradition of using empty buildings to exhibit art. This time around, spaces it occupied for the period of the festival included the huge abandoned Royal Mail sorting office at Copperas Hill and the former waiting rooms of the Cunard shipping company on the city’s waterfront. With many visitors commenting that these unused spaces were just as, if not more, fascinating than some of the art on display in them. In the past, the Liverpool Biennial has occupied everything from a disused Art Deco cinema in the city centre to a former glass warehouse near the docks. The de-industrialisation and de-population experienced by Liverpool over the last few decades meaning there is no shortage of empty buildings to use. The re-animation of such abandoned spaces is a key part of the Biennial’s strategy, with urban regeneration a fundamental reason for the festival’s founding and existence. Of course, the reutilisation of former commercial space for the creation and display of art is itself an older phenomenon. Dating back to at least 1960s New York and since seen around the world from London to Berlin to Sao Paulo. As well as being a particular trend within artistic production, the use of post-industrial areas for creative purposes also reflects wider shifts within economics and society in the latter part of the 20th century. Traditional urban hubs began to lose the industrial bases that had helped make them rich and many cities, if they could, moved towards more service-orientated economies based on things like finance, the media, tourism and leisure. The effects that this had on the communities that had relied on such industry for sustenance were usually deeply negative; economic decline, social decay and de-population. What is it though, that attracts art and artists to such post-industrial areas in the first place? That is, aside from the low costs? The flexibility of industrial space is another key factor. Given the myriad forms of contemporary art that began to emerge in the latter half of the 20th century and the often large spaces it needs to be created and displayed in, huge open-plan buildings formerly filled with goods, machinery and people became ideal art spaces. It was initially artists’ studios, followed by grassroots galleries and then commercial galleries which began using abandoned industrial buildings, but this phenomenon perhaps came of age when public galleries also began to occupy former industrial spaces. The use of abandoned commercial buildings allowed new museums and galleries to have the same monumental scale of older purpose-built museums and in some cases, such as Gateshead’s Baltic and London’s Tate Modern, even larger. Yet as ‘recycled’ buildings, they didn’t have the same naked self-confidence as a structure created for ‘art’s sake’ as say, Tate Britain or even the Brutalist Hayward Gallery in London. Turning these buildings into museums was seen, less an act of reverence and ego, as were the museum constructions of the past, with their links to elitism and the idea of a strictly defined high culture, more the humble recycling of unused space. Financially it also made sense. As it became ever harder to justify the spending of public money on ‘fine art’ in a world which had begun to acknowledge all forms of cultural production had validity, re-using abandoned industrial space and bringing a ‘buzz’ to a declined area became another good reason to justify public spending on culture. However, the notion of tapping into a pre-existing ‘authenticity’ that former industrial areas are perceived as having is also vital to this phenomenon. Like someone buying a pair of pre-worn jeans, the abandoned cranes and switchgear, decay and graffiti in post-industrial spaces lends an immediate character and ‘legitimacy’. A tinge of authenticity that can be taken up by those who are seeking it, I.E. those of middle and upper class backgrounds who inevitably dominate the creative class of any given city. This seems to be something that is at the core of what attracts creatives, and the cultural institutions that ultimately follow them, to post-industrial buildings and communities. It is inevitably the ‘character’ and the relative ‘wildness’ of such areas which is the biggest draw after low costs and large spaces. The frequent desire for many in the creative community to live as they wish without attracting too much grief from the authorities, leads to the search for ‘transgressive’ spaces. Whilst mingling with poorer populations who behave in a less ‘conventional’ way (I.E. middle/upper class and suburban) also seems to provide in the minds of some an authenticity they crave. And therein lays the rub. The conditions which many artists seem to thrive on are those that are usually negative for the pre-existing communities that they take residence in. Abandoned space, very low rents, cheap intoxicants, an ‘edgy’ atmosphere, a lack of employment and a sense of lawlessness are generally signs of a community struggling. Creative communities formed in this way also tend to be short-lived, relying on a rapid turnover of young people moving in. Within a few years most leave these ‘authentic’ localities, as they begin to settle down into family units. That is of course, if such areas don’t reach a tipping point and those moving in change the nature of the neighbourhoods they inhabit into more ‘family friendly’, I.E. quasi-suburban, conditions as seen in parts of London, New York and Berlin. A phenomenon which usually sees rents rise and often drives out more deprived and diverse pre-existing communities. When such gentrification does begin, creatives are usually the first to complain about the influx of the wealthier middle-classes and about how artists are being pushed out. Inevitably identifying themselves as ‘fellow outsiders’ with the ‘edgy’ local community they move into rather than the ‘Yuppies’. Creative inhabitants of such communities are usually much less willing to admit that it is precisely them who begin the process in the first place. Without their studios and venues beginning to occupy such spaces and them being the “shock troops of gentrification” as memorably described by Rosalyn Deutsche[ii], who help make an area fashionable, the richer urban professionals would be much less likely to follow them, softly softly. Once the notion of creative gentrification was hit upon, it quickly became a tool of local authorities world-wide to ‘improve’ areas on a brutally pragmatic level. Used as a process to quietly drive out often poor and deprived populations and replace them with the well-educated and wealthy, thus seeing an upswing in tax receipts and a decrease in expenditure. Cultural regeneration in that mode serves the interests of creatives who want ‘free’ space and those who seek areas to become ‘profitable’, but in the process inevitably, ultimately pushes out pre-existing communities. What though of these ‘alternative quarters’ in the period between their industrial decline and their inevitable gentrification? Are they the hubs of originality and authenticity that so many seek? Well they certainly seem to be places where new ideas and artists frequently tend to emerge from, but for all the claims of uniqueness and individuality, the alternative areas of most cities worldwide, if looked at closely, seem remarkably similar. With any difference usually down to factors which predate their emergence as a creative quarter. Common denominators include the aforementioned former industrial space re-utilised for culture, an international and largely young population, more often than not from comfortable and well-educated backgrounds, ‘alternative’ cafes, graffiti, electronic music and independent clothing stores which sell similar, if ever-changing, fashion styles. Such creative quarters may emphasise their distance from the financial quarters of cities, with their generic glass office blocks and branches of chain coffee stores, but in their own way they are just as generic; international spaces often better connected to each other than they are to the communities around them. The respective communities that inhabit contemporary financial and creative quarters have more in common than either would probably like to think. Both are often fond of intoxicants and parties and are cosmopolitan, if largely still of the middle-upper section of global society, a section which is highly mobile and international in outlook. Like the CEO looking for the country with the lowest cost of production and tax breaks to set up a business, many artists move around the world looking for the cheapest digs and availability of funding by local authorities keen for their own slice of gentrification. One set may wear suits, the other retro t shirts, to display their respective capital in each zone they occupy, but both are, in their own way, living off the wider community, creating ‘products’ which, though important, are not the vitals of life made in the far off agricultural and, still producing, industrial zones of the world. While ultimately both branches of this globalised class have, in their own way, occupied former industrial working class spaces of inhabitation and influence, as seen in the case of the takeover of the East End of London by a mixture of the finance class around the former docklands and the creative class in areas such as Shoreditch. As previously discussed, most creative quarters very quickly become a parody of themselves as, after the shock troops of artists move in, the second wave of urban professionals and cultural tourists follow, occupying an area then, having usually changed it fundamentally into another generic ‘alternative’ hub, seek the cultural capital of being the first into the next ‘hot’ area. This obsession with the inhabiting the margins seems to stem in part from a desire to exist in an alternative space to the prevailing capitalist system and a rejection of the bourgeois nature of suburban life. Finding, studying, living in and making reference to the margins in the minds of many takes them outside of a system they dislike. Yet the margins are a product of and part of the system. Their gentrification by the artistic and educated classes results in their removal as bases for those who are forced to exist on the edge of society by capitalism and turns them into areas that feed more successfully into the system. In moving into these areas to live in an alternative way, in many cases, such people ultimately help to destroy whatever was alternative about it. So, are there alternatives for the creative class who wish to live in such areas aside from colonising and destroying the communities they profess to love? Well if there is, it’s about integration rather than replacement and, if art and regeneration is to benefit such urban communities themselves, it can only do so by embedding the needs and desires of existing residents into practice. One possible example is the recent Homebaked/2up2down initiative in Anfield, Liverpool, arranged by the Liverpool Biennial. 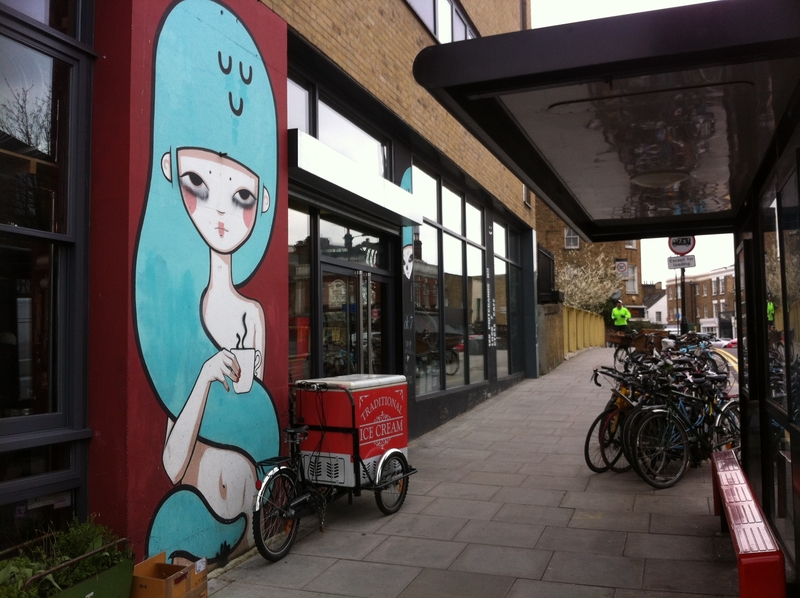 Over a period of two years the project, led by artist Jeanne van Heeswijk, worked to embed itself in the local community and through collaboration developed the ultimate aim of re-opening a closed-down bakery in the neighbourhood. For the period of the Biennial itself, the group that had been formed around the project also created a tour for visitors based around meeting local people. Homebaked/2up2down thus provided services for the existing community, helped to tell the story of the area to visitors and promote local expression. Those involved are now working towards making the bakery a sustainable community business and refurbishing adjacent housing under co-operative ownership. This stands in contrast to the aforementioned former Royal Mail sorting office and Cunard waiting rooms which, now the Biennial have left, are destined for a new commercial future. Yet one of the reasons this Biennial project in Anfield is unlikely to begin the process of pushing out the existing community is because of the small number of professional artists that can live in Liverpool due to the relatively small arts market and the relatively weak economy. This means the process of gentrification will always be limited. Conducting a similar initiative in an area with more opportunities for creatives to make a living and move in, such as London or New York, would perhaps still ultimately be just be another step in making the community into the next ‘hotspot’. Similarly, many of the former industrial areas of Liverpool may have no hope of a future industrial use and their re-appropriation as spaces for art, etc, can give great abandoned buildings, even abandoned areas, a new use and prevent decay into dust. Yet it should not be forgotten that, as much as it may be a futile wish, many of people who previously occupied such spaces, from Liverpool to Berlin to Detroit, would have preferred an alternative world. One of secure, healthy, happy communities with busy industries, not edgy, troubled and ‘authentic’ areas suffering at the raw end of globalised capitalism, with plenty of room for art galleries and parties. This piece appeared on cities@manchester, a blog of the University of Manchester in May 2013. [ii] Rosalyn Deutsche, Evictions: Art and Spatial Politics (Cambridge, Massachusetts, MIT Press, 1998), p. 151. [iv] Mark Binelli, The Last Days of Detroit (London, Bodley Head, 2013), p.285.